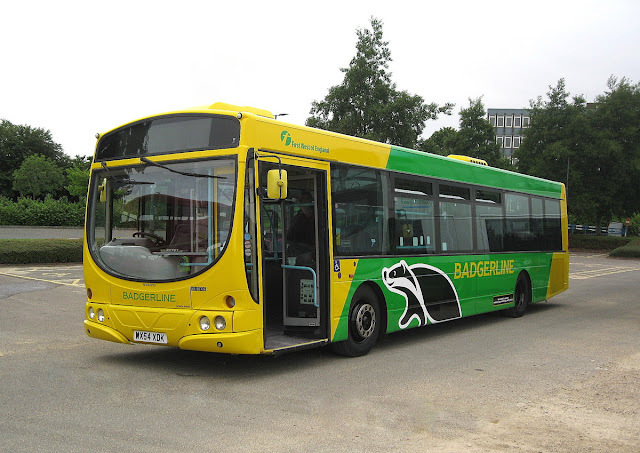 Bus operator First West of England has painted one of its buses in the striking Badgerline colour scheme to celebrate the company’s launch in 1985. 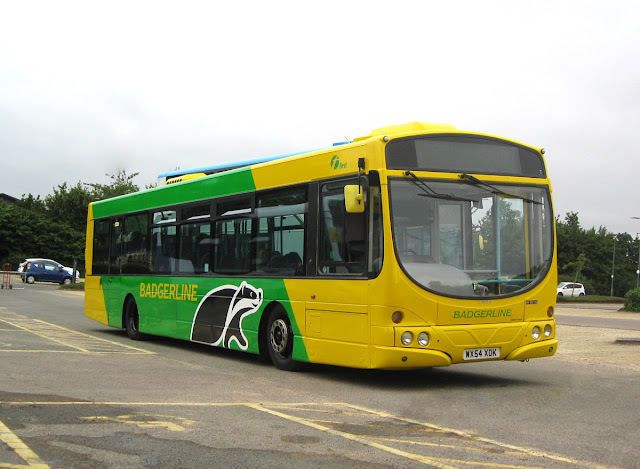 The green and yellow buses along with the giant badger were a familiar sight across the West of England for 15 years and will likely bring back a lot of memories for many. Badgerline was originally formed in April 1985 from parts of the erstwhile Bristol Omnibus Company and was subsequently one of the first buy-outs from the state-owned National Bus Company. The company went from strength to strength building their portfolio of businesses, being floated on the stock market as Badgerline Group plc. In 1995 Badgerline merged with Scottish company Grampian Regional Transport to become FirstBus which later evolved into FirstGroup. 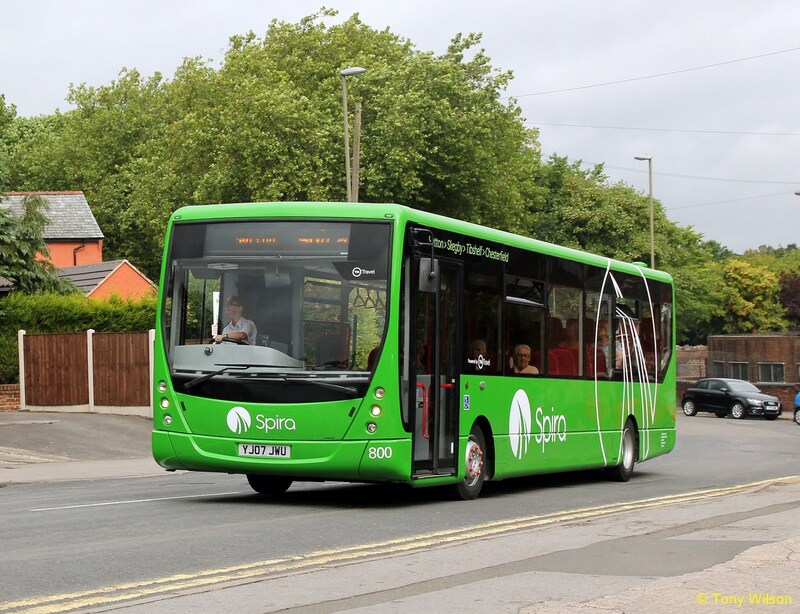 Today First Group operates one in five of all local bus services in the UK. So now from the South West to a spire in the North East Midlands. 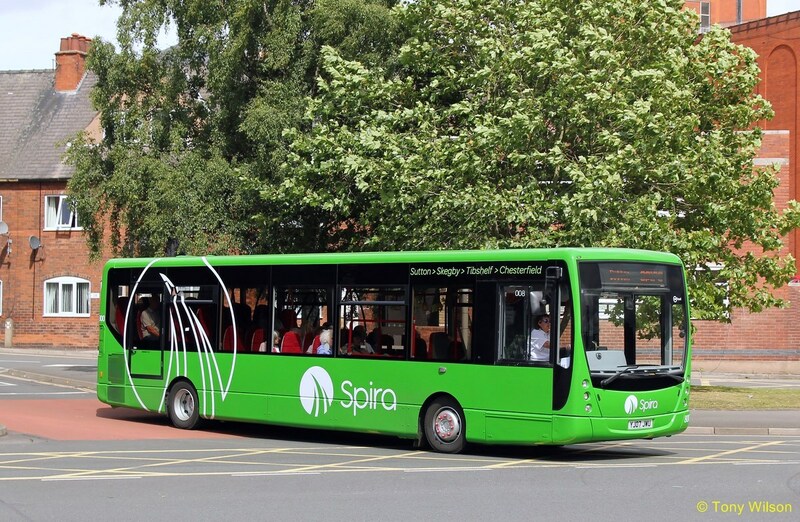 The TM Travel route SP1 (Spira)(Chesterfield-Sutton) has had a bit of a makeover. In recent times the loadings have increased such that now and again there are many standing passengers. Thus from the 10th August the two green liveried Optare Solos were replaced by refurbished VDL/Plaxton Centros from within the fleet. Fleet number 800 seen here in Chesterfield and note the 'leaning' towards the town's major feature of the crooked spire of St.Mary's Church. But photographers beware as the blind displays can only be captured in full when the vehicles are stationary, lens speed at around 1/50th.